Experiential and contextualized learning experiences are essential for facilitating play therapy supervisees' skills development, understanding of play therapy, and self-insight necessary for growth. University-based training clinics have the capacities to provide such experiential learning opportunities; this setting, which often serves diverse community client populations, offers live supervision opportunities. To date, there is limited information available describing the process and procedure for providing live supervision in university-based play therapy training clinics. 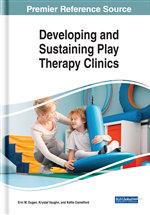 Therefore, the authors will discuss the functions of live supervision, the process and formats of live supervision, developmental stages of play therapy supervisees in live supervision, theoretical orientation and its impact on the play therapy live supervision process, additional considerations, and advantages and disadvantages of providing live supervision in this chapter all within the context of university-based training programs. Supervision is an integral part of the mental health field and the preparation of mental health professionals (Barnett, Cornish, Goodyear, & Lichtenberg, 2007; Bernard & Goodyear, 2014). According to Bernard and Goodyear (2014), supervision is a process wherein a seasoned professional provides support, guidance, and intervention to a less experienced member of the same profession. Applying the key components of this definition to the context of play therapy supervision, the supervisor (a senior member of a particular profession who is trained in play therapy, has extensive play therapy related clinical experience, and appropriate supervisory training) ensures the competence of a supervisee who is therapeutically using play therapy techniques and paradigms through communicating, modeling, and teaching (APT, 2017b; Mullen, 2016). Within this evaluative and hierarchical relationship, the supervisor aims to promote the professional functioning of the supervisee, monitor client welfare, and evaluate supervisee performance (Bernard & Goodyear, 2014). Gibbs and Green (2008) noted that gatekeeping and protecting client care are particularly imperative and challenging when supervising mental health professionals who work with children given the vulnerability and unique needs of this population. Moreover, play therapy supervisors provide opportunities for supervisees to explore and integrate internal thoughts, feelings, values, and experiences into practice (Mullen, Luke, & Drewes, 2007; Ray, 2011). This emphasis on self-awareness is an important facet of the play therapy supervision process. In order for play therapy supervisors to fulfill the variety of responsibilities and roles from a place of expertise, they must receive additional targeted training and possess certain qualifications specific to the practice of play therapy. For example, APT (2017b) required play therapy supervisors to have additional clinical and play therapy experiences, supervision training, and ongoing play therapy education.